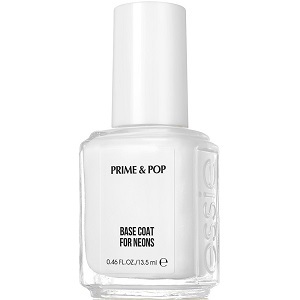 Essie Prime+Pop Base Coat for Neons, 1034, .46 fl. oz. 2-in-1 white primer and base coat. Apply on nails before using neon or bright colors to make them even more vivid, for the color to pop even more.